I’m all for a great Hallmark Moment, but they can cost a small fortune through the years! Items like gift bags, wrapping paper, cards and tags add up over time when you buy gifts for different special occasions through the year. Buy gift. Wait to wrap gift at last minute. Darn, forgot a gift bag. Run to store. Grab a gift bag. Need tissue too. Don’t have a card so grab that too. In the store already so might as well pick up a few more things…$$$$! This was a never ending cycle to spend a lot of money on supplies that would likely soon end up in the trash. Ugh. 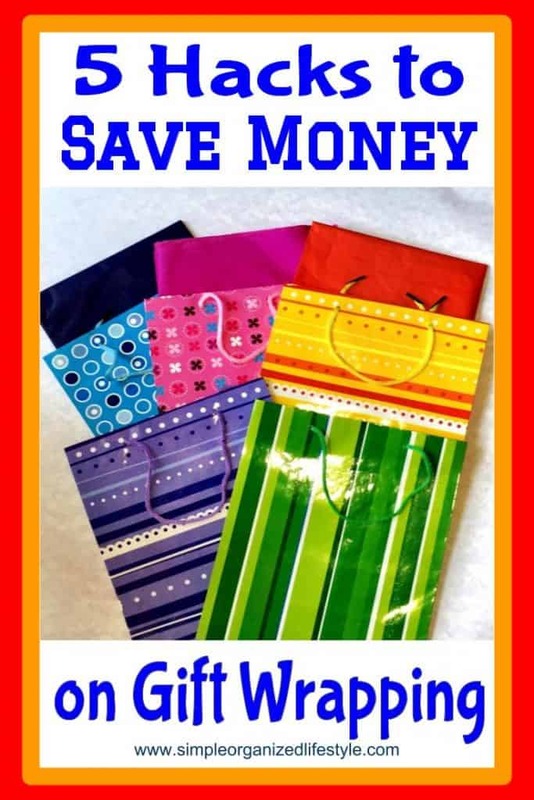 I needed a new gift wrapping supplies money saving game plan! I’m a big fan of the stockpile system. This also includes wrapping supplies! I found gift bags (set of 60 medium sized bags) and tissue (art supply paper) in bulk on Amazon and we’re still using them over a year later. Assorted cards can be found in boxed sets for reduced prices at stores like Ross and TJ Maxx. Yes, be that person who goes through someone’s gift opening trash pile! You can load up on tissue and bags that are ready to be loved a second time. Keep Amazon boxes to use at Christmas time or for awkward sized items that need a box. If you still order checks, those boxes are a great size for small items or jewelry. Dollar stores are the best place to buy a card for $1.00 or less. They usually have a section that has cards 2/1.00. I’ve never had anyone turn my dollar store cards over to the back and call me out on getting a cheap card… people are more interested in your message to them moreso than how much you paid for the card. Better yet, if you have kids, let them make simple cards with some paper and markers! Those are much more valued and only cost the time to make them. Tech savvy friends? They will be just as happy with an e-card or an email that shows you took the time to remember the special occasion. There are several department stores that offer complimentary wrapping all year long at their service counters. If you’re buying a gift and have a few minutes to spare, take advantage of gift wrapping stations to get the job done for free. These are often done completely with boxes, decorative wrap and fancy bows. Some stores may not offer gift wrapping, but they supply you with the boxes. Here’s a great list of popular stores that will wrap your gifts or supply you with gift wrapping items. Kids’ artwork and papers that pile up would be an awesome way to both clear the paper clutter and wrap gifts! A roll of butcher paper or even brown craft paper could last a very long time and would look great with a simple bow or ribbon. Make tags out of old cards by using a simple shape for a template, cutting it out and attaching a ribbon… creative and a great way to recycle old cards. 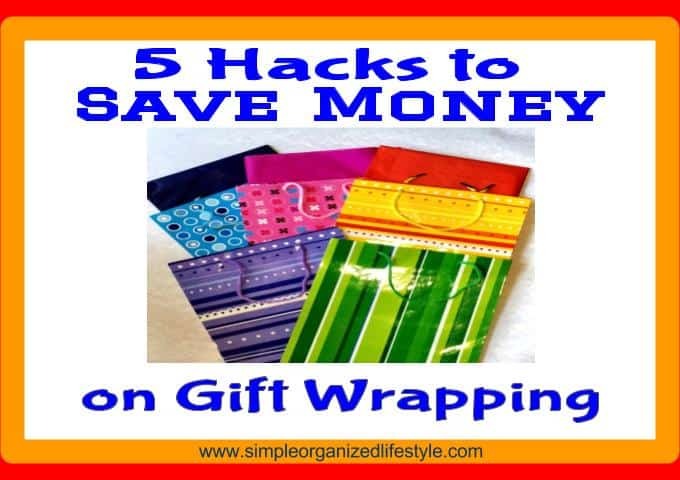 What hacks or tips have you found to save money on gift wrapping supplies?